From simple square cut to circle or any customised shape. Quantities from one through to thousands, and any possible colour. 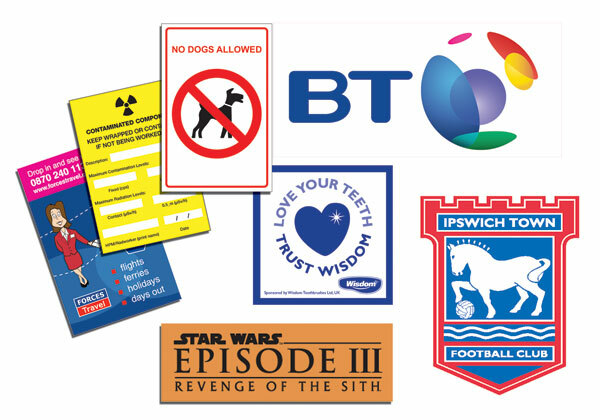 We can print onto a wide range of materials including vinyls, polyester, polycarbonate, rigid pvc and paper. Be it removable, permanent or self cling, we have the sticker for you. special finish of resin doming.